Having a definite quality management system, we are immersed in bringing forth a top class consignment of;Vegetable Carry Bag. 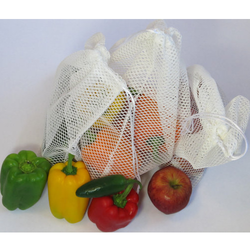 Catering to the ever-changing requirements of our customers, we are affianced in offering an extensive range of Vegetable Leno Bags that is available in various sizes and specifications. We are the leading manufacturer & supplier of Perforated Bags For Vegetables. 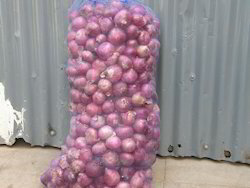 We are a unique name in the industry for manufacturing an extensive assortment of Onion Bag. Our Leno mesh bags are made from 100% virgin Polypropylene food grade material. These are made from circular looms offering better stability and strength to the bag structure.